virtual currencies schemes with bidirectional flow are virtual currencies that users can buy and sell according to an exchange rate with fiat currency, and that can be used to purchase physical goods and services. The most notable example of such bidirectional virtual currencies are cryptocurrencies, which form the main subject of this chapter considering their increasing influence and controversy in today's economy. Although Bitcoin5 is still by far the most well-known cryptocurrency with the highest market capitalisation, altcoins have emerged in the past few years, and they are bringing innovation to the first generation Bitcoin protocol. Several second (and even third6) generation cryptocurrencies have emerged over the past few years. One famous example is Ether, the cryptocurrency for operating the distributed application platform Ethereum, an open-source, blockchain technology-based software platform that runs smart contracts. Ether has many uses; it provides software developers with incentives to write smart contracts, and compensates them for their attributed resources;7 it can be used for executing smart contracts and for paying for goods and services on the Ethereum network. Ethereum, as a platform, is further used to develop other cryptocurrencies (i.e., ERC20 tokens such as Tron (TRX), Omisego (OMG), Icon (ICX)8) through initial coin offerings (ICOs) (see Section VII). Despite the significant decrease in the overall virtual currency market in the first half of 2018 from US$612.9 billion on 1 January 2018 to as low as US$236.62 billion on 29 June 20189, virtual currencies10 are still a hot topic. Recent years have shown the incredible potential of virtual currencies. Just as every new technology does, virtual currencies face obstacles and uncertainties that affect their market price substantially. As discussed in this chapter, the uncertainty about the legal framework that applies to virtual currencies is still a major hindrance to their development and adoption in the market. The financial market in Belgium is regulated by two autonomous supervisory bodies, namely the Financial Services and Markets Authority11 (FSMA) and the National Bank of Belgium (NBB).12 The FSMA and NBB are in charge of supervising and monitoring companies operating in the Belgian financial market, and they each have clearly defined roles. The NBB is responsible for overseeing individual financial institutions (e.g., credit institutions, investment firms, payment institutions, electronic money institutions, insurance companies) and the proper functioning of the financial system as a whole. As there is no virtual currency-specific legislation on securities and investment laws in Belgium, we elaborate on the existing framework that applies to securities and investments laws in Belgium. This framework governs financial instruments, investment instruments and financial products, and assesses if and to what extent it applies to virtual currencies and its market participants. The Belgian legislation on financial instruments consists of the Act of 21 November 2017 regarding the infrastructures of the market for financial instruments, which transposes Directive 2014/65 into national law (Act on Financial Instruments), and the Act of 25 October 2016 on access to investment services companies, and on the legal status and supervision of portfolio management and investment advice companies (Act on Investment Services). The Act on Financial Instruments and the Act on Investment Services are the national laws implementing the second Markets in Financial Instruments Directive (MiFID II).14 This MiFID-based legal framework aims to foster investor protection and to cope with new trading technologies, practices and activities. There is no doubt that Siacoin is a utility token, but a person that bought US$1,000 of Siacoins on 7 January 2016 at a rate of US$0.000017 (to obtain roughly 59 million Siacoin tokens) and sold that same amount of utility tokens two years later on 7 January 2018 at US$0.09715 would have made approximately US$5.7 million in profit in just two years' time.24 Even if the primary purpose of Siacoin is utilitarian, it has been functioning in practice as a means of investment. Apart from this example, it is undeniable that certain bidirectional scheme virtual currencies can serve primarily as investments, especially if such currency is issued by a private company in the framework of an ICO and has characteristics that entitle investors to a share in the profits of the blockchain-based company that issues the virtual currency, that carries voting rights or that gives right to some kind of interest revenue.25 In these scenarios, the tokens convey a certain right to the issuer (as per transferable securities), and their value is linked to the success of the company's business. It seems likely that virtual currencies with these characteristics would be considered a financial instrument under Belgian law. If bidirectional scheme virtual currencies were considered financial instruments under Belgian law, virtual currency market players providing investment services and activities26 relating to virtual currencies would have to comply with the certain obligations on transparency or licensing, or both,27 that are imposed by the above-mentioned financial legislation, which includes obligations regarding rules of conduct:28 to act in an honest, fair, and professional way that best serves the customer's interest; to provide customers with information that is clear, fair and not misleading; and to offer services specifically tailored to the customer's situation. In the explanatory note accompanying the regulation, the FSMA describes various risks associated with virtual money, from hacking of trade platforms to lack of authority supervision and price volatility. The FSMA also describes several dishonest practices that have been identified in relation to derivative cryptocurrency products where the distribution of such derivative financial products to consumers has led to significant losses to the investors in question. This clearly indicates that the FSMA intends to use this regulation to protect small retail customers and investors against these very complicated financial products. The Act of 11 March 2018 regarding, inter alia, the emission of electronic money (e-money) (E-money Act),42 which is the Belgian law implementing the provisions of the E-money Directive,43 aims to facilitate the emergence of new, innovative and secure e-money services as well as to encourage effective competition between all market participants. Payment services are regulated at EU level by PSD II,50 which has been transposed into Belgian law through the adoption of the Act of 11 March 201851 (Payment Services Act). PSD II and the Payment Services Act aim to govern payment services and payment service providers, and to harmonise consumer protection and the rights and obligations for payment providers and users. Based on this latter exemption, closed scheme virtual currencies and (most) unidirectional scheme virtual currencies can be excluded directly based on their (absence of or limited) transferability. This exemption could even apply to certain bidirectional scheme virtual currencies if their use is limited according what is described above.57 Whether virtual currency service providers will fall within the scope of the Payment Services Act will have to be assessed on a case-by-case basis taking into account the factual circumstances of each case. At the EU level, AMLD4,58 transposed into Belgian law through the adoption of the Act of 18 September 2017 on the prevention of money laundering and terrorism funding (AML Act),59 aims to intensify efforts to effectively combat money-laundering and terrorism-financing. It does so by imposing certain risk assessment obligations and obligations to identify customers (know-your-customer (KYC)), and putting in place transaction monitoring procedures for obliged entities (i.e., certain financial and credit institutions as well as certain legal entities and natural persons in the exercise of their professional activities). Although AMLD5 will provide more transparency in the market and will discourage illegal activity to some extent, it only addresses certain service providers of bidirectional scheme virtual currencies. For example, the definition of a custodial wallet provider is limited to 'an entity that provides services to safeguard private cryptographic keys on behalf of its customer, to hold, store, and transfer virtual currencies'.69 This definition might affect multi-currency desktop wallet providers such as Exodus,70 Jaxx71 or MyEtherWallet,72 but virtual currency owners (including those involved in criminal activities) have a wide range of cold wallets and hardware wallets at their disposal (such as Ledger73 or Trezor74) through which only they, as owner, have access to the private cryptographic keys. There are thus still numerous ways to hold, store and transfer virtual currencies without becoming subject to the KYC or transaction monitoring procedures conducted by the new obliged entities under AMLD5. AMLD5 might therefore only have limited effect, and additional legislative efforts will be necessary to effectively tackle criminals using virtual currencies. Virtual currency exchanges currently do not fall under the AML Act, but some of them will be seen as obliged entities within the scope of AMLD5, which will be implemented in Belgian law before 10 January 2020. The amended AML Act will not apply to all virtual currency exchanges, however, as it lists only providers engaged in exchange services between virtual currencies and fiat currencies as obliged entities. Virtual currency exchanges such as Binance,78 which only allow users to buy and sell virtual currencies using Bitcoin or Ether, will not be subject to the AML obligations. Since virtual currencies fall outside the scope of the EU and Belgian legal framework concerning e-money, the E-money Act does not apply to virtual currency exchanges. The Belgian crypto exchange Bit4you SA on the other hand has a different view on the matter. On its website, Bit4you states that its 'first activities launched on 29 August 2018 are not subject to any license under the current Belgian and European legislation'. In its terms and conditions, currently only available in French, they do however proactively implement AML and KYC procedures, even though we explained above that virtual currency exchange platforms are (currently) not subject to the AML Act. Miners play an important role in virtual currencies networks. The core activity of miners is validating virtual currency transactions by solving a cryptographic puzzle for which they use specialised mining hardware. In return for this, or as a reward, they get a sum of newly mined virtual currencies. In some cases, miners can earn additional transaction fees from users that require faster confirmation of a transaction. It should be underlined that the success of virtual currency companies in Belgium is very relative compared to other jurisdictions such as Switzerland or Germany. To date, there has not yet been an ICO conducted out of Belgium, although the increase in ICO activity and in virtual currency awareness will definitely touch Belgium in the coming years. On 13 November 2017, the FSMA issued a communication on ICOs in which it warned ICO issuers that their operations might fall under the scope of application of various EU and Belgian legislation.86 This communication makes clear the FSMA's cautious position regarding the applicable legal framework on ICOs in Belgium. The FSMA did not want to exclude any law a priori. Virtual currencies are susceptible to misuse as part of criminal activities, and the exponential increase in the value of virtual currencies has not gone unnoticed by cybercriminals. In Belgium alone, there were more than 300 cases of Bitcoin-related scams or thefts during 2017.94 Criminal activity specifically against virtual currency users can happen on virtual currency exchanges,95 during virtual currency transactions96 or when merely holding virtual currencies in a user's wallet.97 Additionally, the certain degree of anonymity offered by virtual currencies such as Bitcoin (BTC), Monero (XMR) and Zcash (ZEC) makes virtual currencies attractive for transferring illegally obtained funds. To date, no specific criminal legislation concerning virtual currencies has been adopted in Belgium. Unlike other jurisdictions, the legal use of those currencies is not prohibited in Belgium.98 Nevertheless, certain illegal use of virtual currencies or illegal activity relating to virtual currencies must still comply with the general provisions of Belgian criminal law or specific legislation in relation to computer-related infractions (see below). In this section, we also briefly look at the seizure of virtual currencies that are obtained in the context of criminal activities. with the intention of appropriating property belonging to another person, takes or receives money, movable property, commitments, discharges, debt liberations [. . .], either by the use of false names or false capacities or by the use of cunning tricks to make one believe that false companies of an imaginary power or of an imaginary credit exist, to expect or cause a successful outcome, an accident or any other mysterious event, or to otherwise abuse trust or credulity. This description covers a wide range of situations that could apply to the rigged sale of virtual currencies, and to fake trading platforms and virtual currency exchanges. As an example of this wide coverage, the FSMA, following numerous complaints from Belgian citizens, published a blacklist of virtual currency trading platforms that are suspected of scamming people into investing money for virtual currencies via an exchange where those people never really received any virtual currencies in return or their money back.101 Another form of scam could be a fraudulent ICO involving a natural person or legal entity that convinces investors to buy tokens, which happen to be fake, and the person or entity suddenly disappears with the investors' money. To illustrate, the above-mentioned infractions could apply to a hacker who gains unauthorised access to a virtual currency user's personal computer and virtual currency wallet (unauthorised access to computer systems or hacking) for the purpose of copying the virtual currency user's private key (concealment of data) in order to ultimately transfer the virtual currencies stored in the user's wallet to the hacker's personal wallet, which would amount to computer-related fraud (computer-related fraud). The question that arises is what can or should a government do with such sum of virtual currencies? Should they be forfeited, and, if so, when should they be sold? On 2 March 2018, Koen Metsu asked the Ministry of Justice how many Bitcoins the government has confiscated since January 2015 and whether the government made a loss on the confiscated Bitcoins after confiscating them.112 Considering the volatility of virtual currencies, this is an important question, given that the US$2.8 billion worth of Bitcoin from the FBI has lost more than 60 per cent of its value since December 2017. The number of cryptocurrency owners is drastically increasing, and it is estimated that around 20 million users own Bitcoins. Because of significant price fluctuations in particular, cryptocurrency owners might make considerable gains on their initial investment. For example, someone who bought one Bitcoin on 1 January 2017 at €950 and sold it for €11,050 on 31 December 2017 would have made a €10,100 gain. Cryptocurrencies raise important taxation issues, especially in relation to personal income tax and VAT. In Belgium, capital gains made by a Belgian resident from the sale of cryptocurrencies are not dealt with specifically in the Belgian Income Tax Code 1992. The existing rules allow the tax administration to tax cryptocurrency gains as either professional income (Article 23 Income Tax Code) or miscellaneous income (Article 90, 1° Income Tax Code). If, to the contrary, a Belgian resident makes gains on cryptocurrency transactions outside of the scope of his or her professional activity, he or she will benefit from a tax exemption on those gains, but only on condition that the transaction is realised within the boundaries of the normal management of his or her private estate. Article 90, 1 Income Tax Code indeed provides for a general tax exemption for capital gains made on private assets of the taxpayer (which include securities or currencies, such as cryptocurrencies, as well as tangible assets and real estate) on condition that they result from the normal management of his or her private wealth. The question on whether a transaction is considered to be realised within that normal management is one based purely on facts. The Belgian courts generally describe normal management' as a conservative, risk-averse and unsophisticated management. If gains resulting from cryptocurrency investments are made outside the scope of this normal management or derive from speculative transactions, they will be taxed as miscellaneous income, hence at a fixed rate of 33 per cent. It would probably be excessive to conclude that an investment in cryptocurrencies is always speculative because it is volatile, and as such, it implies a certain level of risk. The speculative nature of an investment in cryptocurrencies should always be assessed having regard to all the facts on a case-by-case basis. Indicators of speculation could be, for instance, the very short term of investments, the repetition of cryptocurrency transactions, the financing of the cryptocurrency investment through loans or the investment of large sums of money (compared to the value of a Belgian resident's entire estate). On the other hand, if a Belgian resident invested a sum of €1,000 in cryptocurrencies and sold them five years later, making a big capital gain on this occasion, arguments could be put forward to sustain the notion that the transaction was made, as a good pater familias, within the boundaries of the general management of his or her private estate. Needless to say, situations are never as straightforward in practice. Since there is a large grey area between the speculative world and the normal management of a person's estate, in practice, taxpayers often apply for tax rulings to obtain legal certainty on the tax treatment of the gains made on their private assets (such as shares). The same applies for cryptocurrency gains. As a practical example, the Belgian Ruling Commission rendered a decision on 5 December 2017 regarding the tax treatment of the capital gains made by a student who developed a software application that automatically traded cryptocurrencies. The Ruling Commission held that the gains made from the sale of Bitcoins through a developed software application 'should not be considered as professional income within the meaning of Article 23 Belgian Income Tax Code but, in view of their speculative nature, are taxable as miscellaneous income within the meaning of Article 90(1) Belgian Income Tax Code'.116 The Ruling Commission recently shed additional light on the tax treatment of cryptocurrency gains. It published a virtual currency questionnaire to be filled in by a taxpayer when he or she applies for a pre-filing request in relation to transfers of virtual currencies. The list contains 17 detailed and diverse questions, from the sum invested in virtual currencies to the frequency of the transactions and the current professional occupation of the taxpayer, as well as the reporting on social media of his or her activity on virtual currency groups.117 From the answers provided by a taxpayer, the Ruling Commission will assess whether a cryptocurrency investment can be considered to have been made in the scope of the normal management of his or her private estate. At this time, considering that the information on virtual currency acquisitions and trading activities can only be found online on a user's cryptocurrency exchange account or cryptocurrency wallet (instead of a bank account), the tax administration will most certainly encounter some practical difficulties in obtaining such information or assessing whether a taxpayer fully disclosed all the relevant information. On 22 October 2015, the Court of Justice of the European Union (CJEU) rendered a judgment in response to a request from the Swedish Supreme Administrative Court seeking clarification on the question of whether transactions on an online virtual currency exchange platform to exchange a traditional currency for a Bitcoin virtual currency, or vice versa, were subject to VAT. The CJEU first clarified that the exchange of different means of payments constitutes a supply of services (Article 24 VAT Directive).118 Secondly, the CJEU stated that an exchange transaction involving a Bitcoin constitutes a supply of services for consideration (Article 2(1)(c)VAT Directive).119 Subsequently, the CJEU focused on the question of whether this supply of services for consideration could fall under one of the VAT exemptions. It held that the exemption in Article 135(1)(e) VAT Directive applied. According to the CJEU, this exemption for transactions involving currency, bank notes and coins used as legal tender also applies to non-traditional currencies. The CJEU emphasised that to interpret this provision as including only transactions involving traditional currencies would go against the context and aims of Article 135(1)(e) VAT Directive, because transactions involving non-traditional currencies that have been accepted by the parties to a transaction are also financial transactions. Applying this judgment to this case, the Bitcoin transaction has no other purpose than to be used as a means of payment. In this decision, the CJEU has paved the way for a positive future for Bitcoin purchases at Bitcoin exchanges in the European Union. Following this decision, Europeans can continue to buy Bitcoins using traditional currency without paying any VAT on these transactions.120 Considering that VAT is an EU form of tax, any transactions involving virtual currencies should be treated in line with the CJEU's decision, including transactions carried out in Belgium. We hope that this approach will become adopted by countries outside of the European Union, thereby further harmonising the taxation approach towards virtual currency transactions. Since the General Data Protection Regulation (GDPR)121 entered into force, certain academics and commentators have emphasised the fundamental paradox between GDPR and blockchain technology. Whereas GDPR aims to protect EU citizens from privacy and data breaches, blockchain technology was designed so that data could be stored on a distributed ledger in an incorruptible way, and accessible for the public to see. The articulation of GDPR and blockchain technology raises several compatibility questions. One question centres around certain data subject access rights. Pertaining to the right to be forgotten, the GDPR reads that 'the data subject shall have the right to obtain from the controller the erasure of personal data concerning him or her',122 and the right to rectification, which reads that 'the data subject shall have the right to obtain from the controller without undue delay the rectification of inaccurate personal data concerning him or her'.123 The question in this context is how can a person exercise these rights if his or her personal data is stored on a blockchain, since it is designed to be immutable? It is thus possible that personal data contained in smart contracts or virtual currency transactions cannot be erased or rectified, thereby violating the data subject's rights under the GDPR. Although both GDPR and blockchain technology are promising initiatives, certain obligations under GDPR could pose some challenges to companies deploying blockchain technology or to virtual currency companies. However, we are hopeful that the necessary (technical) solutions will be adopted in time to resolve these challenges. 1 Michiel Van Roey is an associate lawyer and Louis Bidaine worked as a summer associate at Stibbe. 2 European Central Bank (2015), 'Virtual Currency Schemes – a further analysis', ecb.europe.eu, 4, 25. 3 'From an economic perspective, the virtual currencies currently known about do not fully meet all three functions of money defined in economic literature: (i) medium of exchange, [. . .], (ii) store of value [. . .], 3) unit of account', European Central Bank (2015), o.c., 23. 4 European Central Bank (2015), o.c., 6. 5 On 17 December 2017, Bitcoin's market capitalisation attained an all-time high of US$332 billion. 6 Third generation cryptocurrencies such as Cardano (ADA) are considered to be more sustainable, interoperable and scalable. https://steemit.com/cryptocurrency/@ramsteem/cardano-ada-3rd-generation-of-cryptocurrency. 7 'Ether, the crypto-fuel for the Ethereum network', see https://www.ethereum.org/ether. 8 ERC, or Ethereum request for comment, a technical standard or universal language used for smart contracts on the Ethereum blockchain that implement tokens and that cause them to be traded with other tokens on the Ethereum network, https://cointelegraph.com/explained/erc-20-tokens-explained. 10 When referring to virtual currencies, we cover cryptocurrencies and instruments such as Bitcoin and Ether, as well as other asset classes that are built on blockchain and distributed ledger-based protocols, such as ERC20 tokens and other digital assets that are recorded on Ethereum and similar distributed networks. 13 This also covers supervising currency exchange offices and intermediaries in banking and investment services, see https://www.fsma.be/en. 14 Directive 2014/65/EU of 15 May 2014 on markets for financial instruments and amending Directive 2002/92/EC and Directive 2011/61/EU. 15 Defined as 'a service or activity detailed hereafter that relates to financial instruments' and includes eight different services and activities, including the 'reception and transmission of orders in relation to one or more financial instruments', 'execution of orders on behalf of clients' or 'operating a multilateral trade facility', Article 2(1) Act on Investment Services. 16 See Article 4, 15° MiFID II, which refers to Section C of Annex I, in which the list of financial instruments is detailed. See Article 3, 16° Act on Financial Instruments, which refers to Article 2, 1 of the Belgian Act of 2 August 2002 on the supervision of the financial sector and financial services. 17 Art 2(24) MiFID II. 18 N Vandezande, Virtual Currencies: A Legal Framework, Cambridge, Intersentia, 2018, 321. 20 This distinction between payment, utility and asset tokens is used by the FSMA (Communication No. FSMA_2017_20 of 13 November 2017 on (initial coin offerings), see https://www.fsma.be/sites/default/files/public/content/EN/Circ/fsma_2017_20_en.pdf, p. 2, as well as by other financial market authorities such as the Swiss Financial Market Authority (FINMA), see https://www.finma.ch/en/news/2018/02 /20180216-mm-ico-wegleitung/; A Snyers, K Pauwels, 'ICOs in Belgium: Down the Rabbit Hole into Legal No Man's Land? Part 1', International Company and Commercial Law Review, 2018, Issue 8, 491. 21 A Snyers, K Pauwels, o.c., 487. 22 T Spaas and M Van Roey, 'Quo Vadis Bitcoin? ', Computerrecht 2015/84, June 2015, ed. 3, 118. 25 See https://cointelegraph.com/explained/ico-explained; A Snyers, K Pauwels, 'ICOs in Belgium: Down the Rabbit Hole into Legal No Man's Land? Part 1, International Company and Commercial Law Review, 2018, Issue 8, p. 489. 26 The Belgian Act on Investment Services, implementing into Belgian law certain provisions of MiFID II, is aimed to arrange access to and the provision of investment services, which it defines as 'a service or activity detailed hereafter that relates to financial instruments' and includes the following eight services and/or activities, see Article 2(1) Belgian Act on Investment Services. 27 For example, Article 6 of the Belgian Act on Investment Services reads 'investment firms governed by Belgian law must, before taking up their activities, obtain one of the following authorisations from the supervisory authority, irrespective of the place where they will carry on their activities [. . .]'. 28 See 'Subpart 9, 'Market rules', Articles 30–34 Act on Financial Instruments. 29 Act of 16 June 2006 regarding public offers of investment instruments and the admission of investment instruments on a regulated market, Belgian State Gazette 21 June 2006 (Prospectus Act). 30 Directive 2003/71/EC of the European Parliament and of the Council of 4 November 2003 on the prospectus to be published when securities are offered to the public or admitted to trading and amending Directive 2001/34/EC, OJ L 345 of 31 December 2003. 31 See Article 3(1) Prospectus Act for the definition of public offer. 32 Article 4 §1, 10 ° Prospectus Act. 33 A Snyers, K Pauwels, 'ICOs in Belgium: Down the Rabbit Hole into Legal No Man's Land? Part 1, International Company and Commercial Law Review, 2018, Issue 8, p. 499. 34 Article 17 Prospectus Act. 35 Regulation (EU) 2017/1129 of the European Parliament and of the Council of 14 June 2017 on the prospectus to be published when securities are offered to the public or admitted to trading on a regulated market, and repealing Directive 2003/71/. 36 Act of 11 July 2018 on the offering of investment instruments (New Prospectus Act), see http://www.etaamb.be/fr/loi-du-11-juillet-2018_n2018040307.html. 38 Article 2(2) FSMA regulation of 3 April 2014, which was approved by a Royal Decree of 24 April 2014, published in the Belgian Official Gazette on 20 May 2014; for the full text, see https://www.fsma.be/sites/default/files/public/sitecore/media%20library/Files/fsmafiles/wetgeving/reglem/en/reglem_24-04-2014.pdf. 39 Article 2, 39 of the Belgian Act of 2002 on the supervision of the financial sector and on financial services. 40 'An exchange-traded fund (ETF) is a passive investing instrument that tracks underlying benchmark indexes (such as the NASDAQ-100 Index, S&P 500, Dow Jones, and others), commodities, bonds, or portfolios of assets and replicates their performances. ETFs can be traded like a common stock on exchanges, combining the diversified holdings of a fund with the low cost and tradability of a share': https://cryptoren.com/wiki/exchange-traded-fund-etf-meaning/. 41 'Bitwise Files With US Securities and Exchange Commission to Launch Crypto ETF', see https://cointelegraph.com/news/bitwise-files-with-us-securities-and-exchange-commission-to-launch-crypto-etf. 42 Article 1 §3, 3°–4° Belgian E-money Act. 43 Directive 2009/110/EC of 16 September 2009 on the taking up, pursuit and prudential supervision of the business of electronic money institutions amending Directives 2005/60/EC and 2006/48/EC and repealing Directive 2000/46/EC (E-money Directive), see https://eur-lex.europa.eu/legal-content/en/ALL/?uri=CELEX:32009L0110. 44 Article 2(2) E-money Directive and Article 2, 77° Belgian E-money Act. 45 As closed scheme virtual currencies cannot be obtained using legal tender or exchanged back into legal tender, they fall outside the definition of e-money (which needs to be 'issued upon receipt of funds'). The same applies for unidirectional scheme virtual currencies, which have a limited transferability and cannot be redeemed back into legal tender. Although see the definition of e-money in N Vandezande, Virtual Currencies: A Legal Framework, Cambridge, Intersentia, 2018, 222–223. 46 N Vandezande, o.c., 272; according to Zeeshan Feroz CEO of Coinbase UK, Coinbase will be allowed to issue e-money and to provide payment services, see https://cryptoslate.com/coinbase-issued-e-money-license-uk-europe/. 47 N Vandezande, o.c., 218. 48 See Section II, 'virtual currencies as financial instruments or investment services'. 49 As a side note, the E-money Directive and the E-money Act put into place a system of e-money licences that institutions can obtain only if they fulfil certain requirements. Even though virtual currencies are not considered e-money, it is interesting to see that some actors, such as the exchange platform Coinbase, have taken a proactive stance towards the regulatory framework on e-money. On 21 March 2018, Coinbase obtained an e-money licence from the United Kingdom Financial Conduct Authority, which means Coinbase is looking to expand its offering beyond virtual currencies, or is anticipating changes in e-money legislation, see https://support.coinbase.com/customer/en/portal/Articles/2928609-e-money-license?b_id=13521. 50 Directive (EU) 2015/2366 of the European Parliament and of the Council of 25 November 2015 on payment services in the internal market, amending Directives 2002/65/EC, 2009/110/EC, and 2013/36/EU and Regulation (EU) No 1093/2010, and repealing Directive 2007/64/EC, see https://eur-lex.europa.eu/legal-content/en/TXT/?uri=CELEX:32015L2366. 51 Act of 11 March 2018 on the legal status and the supervision of payment institutions and electronic money institutions, access to the activities of payment service providers and the issuance of electronic money, and access to payment systems. Article 107 PSD II provides for full harmonisation, namely that 'member states can neither keep nor introduce provisions that are different from those contained in the Directive', which entails that EU legislation in relation to payment services is fully harmonised throughout the EU. 52 That is, credit institutions; e-money institutions; bpost; NDD; ECB; federal, regional, community and local Belgian authorities, when they are not acting as a public authority; and payment institutions. 53 Article 1 PSDII and corresponding Article 1 Payment Services Act. 54 Article 6 Payment Services Act. 56 Article 3(k) Payment Services Act; N Vandezande, Virtual Currencies: A Legal Framework, Cambridge, Intersentia, 2018, 258. 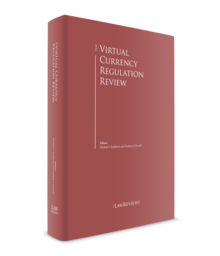 57 N Vandezande, Virtual Currencies: A Legal Framework, Cambridge, Intersentia, 2018, 272. 58 Directive 2015/849 of 20 May 2015 on the prevention of the use of the financial system for the purposes of money laundering or terrorist financing, amending Regulation (EU) No. 648/2012 of the European Parliament and of the Council, and repealing Directive 2005/60/EC of the European Parliament and of the Council and Commission Directive 2006/70/EC. 59 Articles 2, 3 and 5 AML Act. 60 Article 3 AML Act. 61 Article 4, 18 AML Act. 62 N Vandezande, Virtual Currencies: A Legal Framework, Cambridge, Intersentia, 2018, 298. 63 Directive (EU) 2018/843 of the European Parliament and of the Council of 30 May 2018 amending Directive 2015/849 on the prevention of the use of the financial systems for the purposes of money laundering or terrorist financing, and amending Directives 2009/138/EC and 2013/36/EU. 64 New Article 2(1)(3) (g) and (h) AMLD4, see Article 1 AMLD4 Amendment. 65 Take Bitcoin as an example: the information in the blockchain does not allow users to access it directly, but contains the exact time and size of each transaction as well as the Bitcoin addresses of the payer and the payee. Together with other information that is stored outside of the Bitcoin protocol, certain transactions can therefore be properly traced back to identifiable persons. The anonymity that Bitcoin and certain other virtual currency offer is only partially anonymous; it is better to speak of a pseudo-anonymous than an anonymous one system: T Spaas and M Van Roey, 'Quo Vadis Bitcoin? ', Computerrecht 2015/84, June 2015, ed. 3, 114. 66 New Article 13. 4 AMLD5, see Article 1 AMLD4 Amendment. 67 New Article 8.1, 4A AMLD5, see Article 1 AMLD4 Amendment. 68 New Article 8.2 and Article 47 §1 of the AMLD5, see Article 1 AMLD4 Amendment. 69 New Article 3(19) the AMLD5, see Article 1 AMLD4 Amendment. 75 Article 4 AMLD4 Amendment. 76 Response by the Minister of Finance, who is charge of combating tax fraud dated, 28 November 2017, to certain parliamentary questions posed by Mr Gilles Foret (MR politician) on 4 October 2017 (Bulletin No. B134, q. 1856), https://www.lachambre.be/kvvcr/showpage.cfm?section=qrva&language=fr&cfm =qrvaXml.cfm?legislat=54&dossierID=54-b134-902-1856-2016201718654.xml. 77 Coinbase is one of the numerous exchangers on the marketplace https://www.coinbase.com/join. 79 'New Cryptocurrency Exchange Targets European Regulatory Compliance', Forbes.com, 30 July 2018, see https://www.forbes.com/sites/heatherfarmbrough/2018/07/30/new-fully-regulated-cryptocurrency-exchange-launches/#efe578c335d9; Because of the lack of clarity as to which legislation applies to virtual currency exchanges, they seem to take a very cautious stance. On the website of Kraken, the exchange states that 'Bitcoin's legal status is still being defined, but Kraken takes a highly proactive and informed approach to ensuring legal compliance', and 'our approach is to operate conservatively, entirely within the bounds of current law, and to constantly monitor regulatory developments so that we can anticipate changes before they occur'. 83 Instead, these companies promise to develop a certain blockchain-based product or service in the future, funded by the money they acquired via the ICO. In consideration for the money they receive from the token sale (which can be up to US$1.7 billion for one ICO), these companies will provide tokens that grant the holders with some benefit in the future (access to a platform, discounts to products or services to be developed, etc.). 'Telegram raised $1.7 billion through its two private pre-sales, making it the largest ICO ever. The popular messaging tool is reportedly planning to build an ecosystem of token-based services constructed inside the messenger app, such as distributed file storage and micropayments for peer-to-peer transactions', see https://cryptoslate.com/most-successful-icos-of-2018-so-far/. 84 A Snyers, K Pauwels, o.c., 484. 85 The same goes for the US, Japan, the United Kingdom, France, Germany, Switzerland, Hong Kong, etc. See Autonomous Next, using analysis from Bloomberg, as of 19 March 2018, Thomas Reuters, Latham & Watkins LLP, pp. 98–106, see https://www.lw.com/thoughtLeadership/crypto-utopia-autonomous-next. 86 In its communication, the FSMA warns ICO issuers that their operations could fall within the scope of various EU directives, including MiFID II, AMLD4, the Alternative Investment Fund Managers Directive and the Prospectus Directive, as well as numerous Belgian laws, including AMLD4 and the Act on AML, the Prospectus Act and the Royal Decree of 24 April 2014 on the commercialisation ban on offering financial products to consumers without professional occupation (as discussed in Section II.iii). 88 Act of 18 December 2016 regulating the recognition and delineation of crowdfunding and containing various financial provisions (Crowdfunding Act). 89 Article 4, 2° Crowdfunding Act. 90 For example of such intermediaries, see http://blockstarter.tech/ ; https://coinlaunch.co/. 91 Article 22§1 Prospectus Act; Exceptions to this principle are listed in Article 3 §2 Prospectus Act. 92 Article 23 Prospectus Act. 93 Article 24 §2 b) and d) Prospectus Act. 94 'Kris Peeters met en garde contre une fraude aux cryptomonnaies en plein essor', see https://www.rtbf.be/info/economie/detail_kris-peeters-met-en-garde-contre-une-fraude-aux-cryptomonnaies-en-plein-essor?id=9936983. 95 The famous Mt. Gox theft in which hackers stole around US$473 million worth of cryptocurrencies, and the DAO hack, which led to a loss of around US$70 million worth of cryptocurrencies, https://coincodex.com/Article/51/5-biggest-crypto-hacks-of-all-time/. 96 'Hacker Makes Over $18 Million in Double-Spend Attack on Bitcoin Gold Network', see https://www.bleepingcomputer.com/news/security/hacker-makes-over-18-million-in-double-spend-attack-on-Bitcoin-gold-network/. 97 The hacking of virtual currency wallets, which can be held online, locally on a computer's hard drive, a USB stick or even offline in cold wallets, is certainly one of the most sensitive issues. For more information on virtual currency wallets and security risks, see T Spaas and M Van Roey, 'Quo Vadis Bitcoin? ', Computerrecht 2015/84, June 2015, ed. 3, 114. 98 For example, Ecuador banned virtual currencies and Bitcoin in particular as early as 2014, see https://www.ibtimes.co.uk/ecuador-reveals-national-digital-currency-plans-following-Bitcoin-ban-1463397. 100 Article 263 Criminal Code mentions up to €500, which has to be multiplied by a factor of eight for criminal sanctions. The Act of 25 December 2016 amending the Act of 5 March 1952 on the surcharges on criminal fines stipulates that as from 1 January 2017, criminal fines are to be multiplied by a factor of eight instead of six. 101 'Belgian Financial Services Markets Authority Warns of Fraud in Cryptocurrency Trading Platforms, Publishes List of Alleged Fraudulent Cryptocurrency Exchanges', see https://www.crowdfundinsider.com/2018/02/128731-belgian-financial-services-markets-authority-warns-fraud-cryptocurrency-trading-platforms-publishes-list-alleged-fraudulent-cryptocurrency-exchanges/. 102 Article 496 Criminal Code mentions up to €3,000, which has to be multiplied by a factor of eight for criminal fines. 103 Articles 504quater, 550bis, and ter Criminal Code. 104 Article 550bis, §1 Criminal Code mentions up to €25,000, which has to be multiplied by a factor of eight for criminal fines; a computer system is understood as 'any system for storage, processing or transmission of data'. 105 Article 550bis, 3° Criminal Code mentions up to €25,000, which has to be multiplied by a factor of eight for criminal fines. 106 Article 504quater Criminal Code mentions up to €100,000, which has to be multiplied by a factor of eight for criminal fines. 107 Article 39bis, law of 17 November 1808 on the code of criminal procedure (Code of Criminal Procedure). 108 C Conings, 'Beslag op Bitcoins', Computerrecht 2015, 79. 109 On 2 March 2018, Mr Koen Metsu (NVA politician) asked several questions on virtual currencies in Belgium to the Minister of Justice, Koen Geens, including the quantity of Bitcoins that the government has confiscated since January 2015; this question has not yet been answered by the cabinet of Minister Koen Geens (Bulletin nN. B152, q. 2531). 110 Court of Appeal, Antwerp, 10 November 2016, not published. 111 These Bitcoins were confiscated in the course of the Silk Road investigation, see https://steemit.com/Bitcoin/@loryon/fbi-is-global-stakeholder-in-cryptocurrency-currently-owns-largest-Bitcoin-wallet. 113 Response by the Belgian Ministry of Justice dated 9 May 2018 to the questions asked by M Brecht Vermeulen (N-VA (New Flemish Alliance) politician) on 26 April 2018 (Bulletin No. B154, q. 2576). 114 S Royer, 'Bitcoins in het Belgische strafrecht en strafprocesrecht', RW 2016–17, 26 November 2016, No. 13, 497. 115 Article 23 Income Tax Code: 'Professional income is income derived directly or indirectly from activities of every kind [and assimilated income], in particular: 1° profit; 2° benefits; 3° profits and benefits from a previous professional activity; 4° remunerations; 5° pensions, interest and allowances applicable as such'; Article 130 Belgian Income Tax Code lists the progressive tax rates between 25 and 50 per cent. 116 Anticipated decision by Ruling Commission No. 2017.852, 15/12/2017, news DVB 2018, p. 3, No. 1.3, available in Dutch, see https://www.ruling.be/sites/default/files/content/download/files/nieuwsbrief_dvb_3_nl.pdf. 118 The CJEU first clarified that the exchange of different means of payments constitutes a supply of services within the meaning of Article 24 of the VAT Directive, since Bitcoins cannot be characterised as tangible property as referred to in Article 14 of the VAT Directive. The CJEU went on to recall that the supply of services is affected for consideration only if there is a direct link between the services supplied and the consideration received. 119 According to the CJEU, it is clear that the exchange of traditional currency for units of Bitcoin, in return for payment of a sum equal to the difference between the price paid by the operator to purchase the currency and the price at which he or she sells the currency to his or her clients, constituted a supply of services for consideration within the meaning of Article 2(1)(c) of the VAT Directive. 120 M Van Roey, C Bihain, 'European Court of Justice considers the exchange of traditional currencies for Bitcoins exempt from VAT', Stibbe ICT Newsletter, December 2015, No. 52, see https://www.stibbe.com. 121 Regulation (EU) 2016/679 of the European Parliament and of the Council of 27 April 2016 on the protection of natural persons with regard to the processing of personal data and on the free movement of such data, and repealing Directive 95/46/EC'. 125 However, the FSMA issued a regulation prohibiting the sale of derivatives on virtual currencies. Refer to Section II.iii or the following link: http://www.etaamb.be/fr/arrete-royal-du-24-avril-2014_n2014011323.html. 126 Those questions relate to, inter alia, taxation systems, the regulation of exchangers or criminal activities related to Bitcoins. See parliamentary questions No. 1856 (Bulletin No. B134); no. 2016 (Bulletin No. B145); No. 2531 (Bulletin No. B152); No. 2576 (Bulletin No. B154), see http://www.dekamer.be/.